Traveling to Czech Republic? This really is the perfect spot on the web to discover locations to swim in Czech Republic. Each day you are not swimming you happen to be losing precious time in improving your skills to be a superior swimmer! No additional excuses! Locate your nearest Czech Republic Swimming Pool and tell us how it went. Do you know of any Pools in Czech Republic that should be listed here? Contact us!. Swimia.com requirements your feedback on Aquagym in Czech Republic to ensure all of the facts about swimming in Czech Republic is valid. 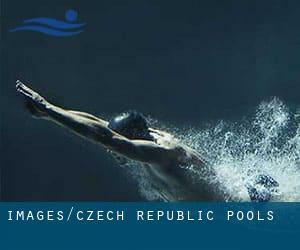 If you will be seeking for Czech Republic Pools, it's excellent to know lots of of them belong to gyms or sports centers which also offer you lessons. Get informed by calling the premises. Before trying any pool, ensure you know the rules and regulations for Czech Republic Pools as they may not be the same as in your home town. We recommend you contact the pool directly to ask when you will will need a hat, and what sort of footwear or distinct clothing you will need. Thanks to some new pools submitted by swimmers like you, Swimia.com is escalating in the daily number of stored pools. Please do not hesitate to make contact with us in the event you get any Czech Republic Swimming Pool with inaccurate or incomplete information and facts. One in the benefits of outdoor swimming in Czech Republic may be the possibility to sunbathe for the duration of the summer season. Taking it with extra care, sunbathing is wholesome considering that introduces Vitamin D into the body, so the very best choice seems to be switching between indoor and outdoor pools based on the season. Enjoy the best indoor pools in Czech Republic and don't worry about the weather. These facilities are open all seasons and you can enjoy a swim at the same temperature every day of the year. There are various reasons why you ought to choose a heated swimming pool in Czech Republic. Essentially the most important 1 relies on the significance of keeping the body temperature stable. If the water is too cold, your body will try to warm it up and you will lose strength to swim properly. Whereas Plzeň is one of the six most populous cities in Czech Republic with almost 164.180 residents, you shouldn't miss that one if you're going to Czech Republic. It's difficult to visit Czech Republic with no dropping by Liberec (with 97.770 residents). Presently Swimia is showing you all of the Swimming Pool in Liberec and also the closest pools located in its vicinity. Without a shadow of a doubt, swimming in Ostrava may be the best approach to unwind right after function. Take a couple of minutes to browse Swimia's catalog to find a Pool in Ostrava. Holding an estimated population of 369.559, Brno is one of the most important cities in Czech Republic. Check all the Swimming Pool in Brno and its surrounding region. Swimming is really a outstanding idea to keep your body active throughout your visit to Prague (Czech Republic), or even if you're a local. Swimia helps you to locate your closest Swimming Pool in Prague. Let us tell you a secret to switch off though you're in Olomouc: just select a Swimming Pool in Olomouc and plunge into the water! There's no a lot more effective approach. Updated on 2019 V pruhonech 503 , Chrudim (Postal Code: 537 03). Among all the activities offered by the center, when you are enthusiastic about swimming you'll enjoy 25 meters x 12.5 meters, 6 lanes, Indoors. Just in case you wish to make contact with this Swimming Pool just before dropping by, we only know the phone number. Updated on 2019 Táboristská 23 , Zizkov , Prague (Praha) (Postal Code: 130 87). This sports center provides 25 meters x 12.5 meters, 6 lanes, 1.1 meters - 1.3 meters depth, 1.1 meters - 1.3 meters depth, Indoors. Contact information for this Pool for instance phone number and email address are number. Havlíckova 7 , As (Postal Code: 352 01). Swimmers like you reported 25 meters x 12 meters, 6 lanes, Indoors. Unfortunately we do not have the e-mail address of this Swimming Pool, but we can give you the phone number. Updated on 2019 Sportovni 1052 , Horazdovice (Postal Code: 341 01). Among all the activities provided by the center, for anybody who is thinking about swimming you can expect to enjoy 25 meters, 4 lanes, Indoors. If you should contact this Swimming Pool, email address and phone number are both number. Ve Vilkách 1814 , Tachov (Postal Code: 347 01). Among all the activities provided by the center, if you are considering swimming you might delight in 25 meters, 3 lanes, Indoors. If it is advisable to get in touch with this Swimming Pool, email address and phone number are both number. Pražská 138 , Cestlice (Postal Code: 251 01). Among all the activities supplied by the center, if you are interested in swimming you may appreciate 19 meters, 4 lanes, Indoors. If you'll want to contact this Swimming Pool, email address and phone number are both number. Updated on 2019 Tupolevova 665 , Letnany , Prague (Praha) (Postal Code: 199 00). This sports center provides 25 meters, 6 lanes, 1.5 meters - 1.8 meters depth, 1.5 meters - 1.8 meters depth, Indoors. Contact information for this Swimming Pool for instance phone number and email address are number. Updated on 2019 Mariánská ul. , Frenstat pod Radhostem . Among all the activities offered by the center, for anyone who is considering swimming you will take pleasure in 25 meters x 12.5 meters, 1.3 meters depth, 1.3 meters depth, Indoors. Just in case you want to get in touch with this Pool before dropping by, we only know the phone number. Updated on 2019 Elišcino nábreží 842 , Hradec Kralove (Postal Code: 500 03). This sports center delivers Olympic size x 25 meters, 8 lanes, Indoors. Contact information and facts for this Swimming Pool such as phone number and email address are number. Lacinova 1720 , Slany (Postal Code: 274 01). Swimmers like you reported 25 meters, 5 lanes, Indoors. Phone number and e-mail address are number for this Swimming Pool. Konevova 141a , Zizkov , Prague (Praha) (Postal Code: 130 00). This sports center offers 25 meters, 4 lanes, Indoors. For this Pool, only phone number is number here. Husovy sady 1813 , Sokolov (Postal Code: Unknown). This sports center provides 25 meters x 12.5 meters, 5 lanes, Indoors. For this Swimming Pool, only phone number is number here. Updated on 2019 Gen. Sochora 1378 , Poruba , Ostrava (Postal Code: 708 00). Among all of the activities offered by the center, for anyone who is keen on swimming you are going to take pleasure in Olympic size x 21 meters, 8 lanes, 1.2 meters - 3.7 meters depth, 1.2 meters - 3.7 meters depth, Indoors. If you must contact this Swimming Pool, e-mail address and phone number are both number. Nam. Svobody 15 , Znojmo (Postal Code: 669 02). This sports center gives 25 meters x 12 meters, 5 lanes, 0.9 meters - 3.5 meters depth, 0.9 meters - 3.5 meters depth, Indoors. For this Swimming Pool, only phone number is number here. Updated on 2019 Bruslarská 10 , Hostivar , Prague (Praha) (Postal Code: 102 00). Swimmers like you reported 25 meters, 8 lanes, 1.2 meters - 3.6 meters depth, 1.2 meters - 3.6 meters depth, Indoors. Unfortunately we do not have the email address of this Swimming Pool, but we can give you the phone number.